A Pennsylvania woman told Duquesne Police drove her car down a set of railroad tracks because of instructions from her GPS. Fortunately, she lived to tell about it. Police found the freewheeling driver after responding to a report of “a vehicle on the railroad tracks” around 10 p.m. Wednesday near Grant Avenue and State Route 837 in Duquesne, according to a Facebook post by the department. The woman, who is from Sewickley but was not named, told an officer her “GPS advised her to go this way.” Sewickley is about 15 miles northwest of Pittsburgh. “The GPS told me to do it…”read the intro for the police department’s Facebook post. In exchange for the stunt, the woman’s vehicle was towed from the tracks and she received a ticket for careless driving. It’s safe to say that most people know driving on railroad tracks is bad idea. But to spell it out, the website for Operation Lifesaver – Rail Safety Education listssome of the things drivers and pedestrians should consider around train tracks. Freight trains, for example, have no set schedules and can pass through a highway-rail intersection at any time. The speed and sheer weight of a train means that stopping one can take more than a mile or about the length of 18 football fields. 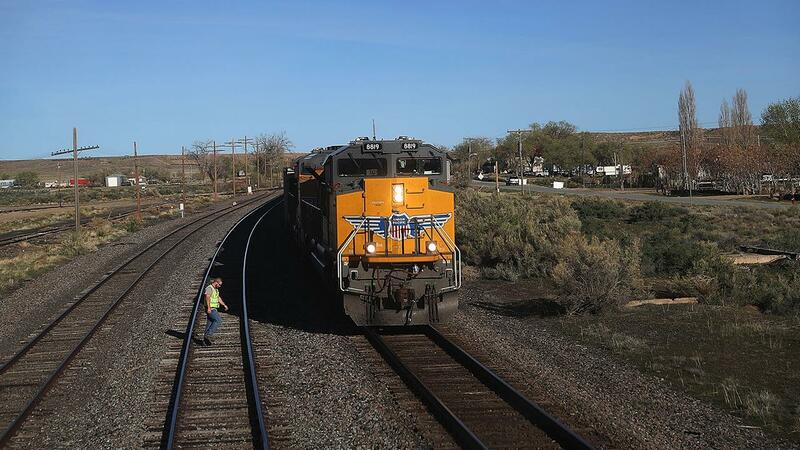 It is virtually impossible for a train to stop fast enough to avoid a collision. The average locomotive weighs about 400,000 pounds or 200 tons and they can weigh up to 6,000 tons, the website states. Essentially, the weight ratio of a car to a train is equal to a soda can to a car. Trains are also always “closer, moving faster, than you think,” the website states.